Basically, exfoliation and scrubs involve invigorating, deep-cleansing treatments that improve circulation by exfoliating dead skin cells on the surface and nourishing skin underneath. Sometimes referred to as friction rubs, this procedure exfoliates and hydrates the skin, usually using sugars, salts and other natural ingredients. These treatments can be applied by hand or with a coarse mitten that facilitates the removal of dead, dull skin resulting in an energizing path to glowing and silky skin. Mineral-rich sea salts can exfoliate dry skin to reveal the healthier, younger skin just below the surface. Your skin will be silky soft and hydrated after moisturizing. This is a fantastic method for removing impurities. 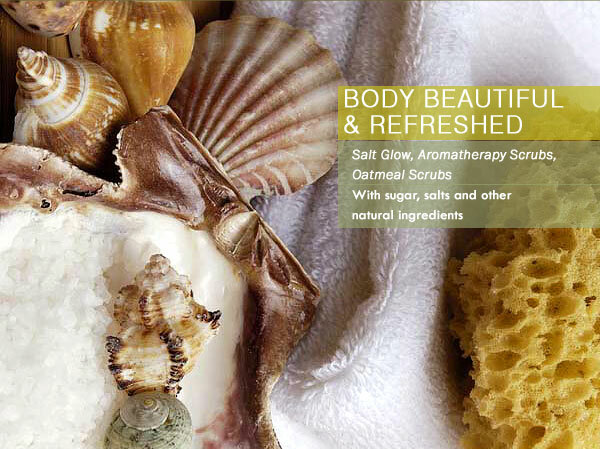 Aromatherapy scrubs exfoliate the body and soothe the senses with delicate, therapeutic aromas. 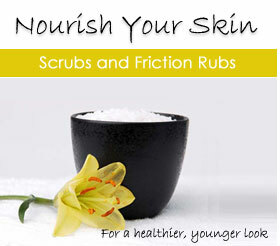 These scrubs simultaneously exfoliate the body and help draw out impurities.